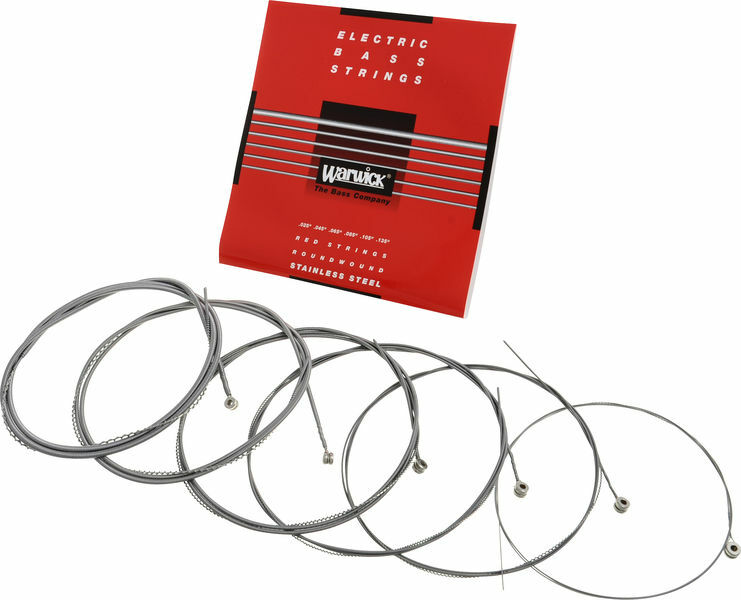 Gauge: .025" - .045" - .065" - .085" - .105" - .135"
I think these strings sound great, when they are new. The wear off probably faster than some more expensive ones, but I don't care. I prefer buying new strings often and at this price, I afford it. I am not one of those guys, who buys expensive strings and boils them in alcohol for 3 years, to prolong their life cycle :) They are really cheap and that's why I think it is hard to beat the price/quality ratio here. I really appreciate the 0,25 string. You usually get 0.32 or 0.30 for the C string, but I think 0,25 is easier to play, bend, etc. I always buy the stainless steel series. For rock, metal, I think they sound much better than the nickel, because they have this high frequency ring, which helps to cut through the mix, but of course, that is just a matter of taste. For "Verarbeitung", I cannot give full-score, because it happened a couple of times, that one string in the set had a defect, but hey... for that price it can sometimes happen. I didn't even bother to ask for a replacement. I tried these and I really liked them, ordered two more sets. I think the .025 string on this set sounds more balanced than the standard .032 or .030 for the C string. ID: 162971 © 1996–2019 Thomann GmbH Thomann loves you, because you rock!